KawaiiPunk - Kawaii Mascot Blog: Cute Classics! The Mr. Men! Pretty cute, aren’t they? The Mr. Men started life as a series of books by Roger Hargreaves that were first published way back in 1971, and their enduring popularity with children started very shortly afterwards! For me it was always the simplicity of the characters and silliness of the stories that held the greatest appeal. It made me feel as if I could be a part of the Mr. Men world too - whether I was drawing the characters myself, or making up my own silly stories! And this childlike appeal, I’m pleased to report, continues to this day! 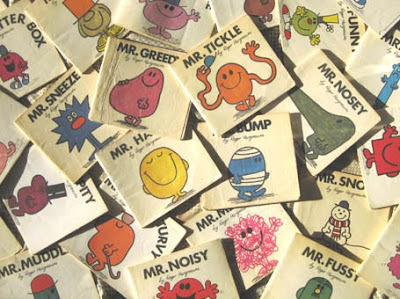 In fact, the Mr. Men are so popular, they’ve even got their own website! How cool is that?